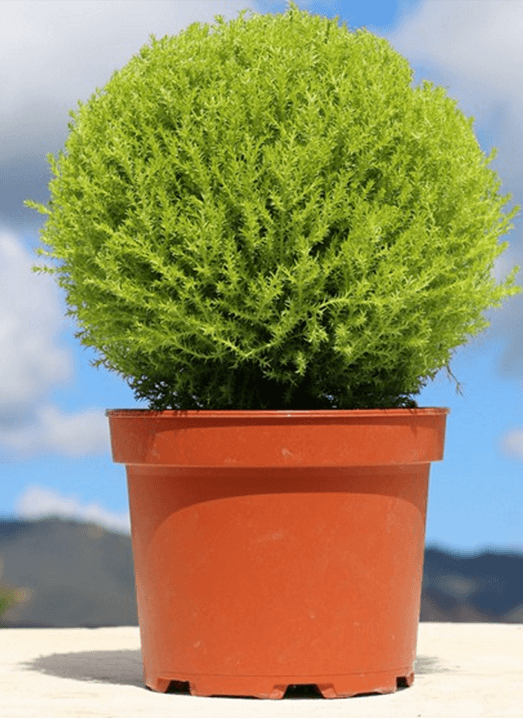 Live Lemon Cypress Globe Topiary Plant. This beautiful lemon cypress globe is the perfect addition to your home's decor. Keep it in bright, indirect sunlight and keep soil evenly moist, but not wet. Pot Size: 6.5 inches| Height: 15 inches | Weight: 5 lb | Exposure: Bright, indirect light. | Indoor Tem: 40 - 70 degrees F | Min Zone: 0 degrees F | Care Instructions: Keep soil evenly moist, but not wet. Prune regularly to retain shape. Comes in plastic pot.